This is a basic necessity for your brand new baby. 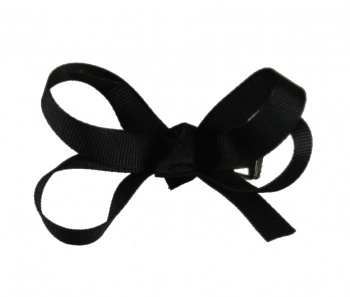 Simply a little black bow to match any outfit. This small size is great now for her little head and this can easily slide into a headband or beanie hat to add color to them. As she grows this size can also slide onto of the base bows so that you can get a double stacker layer.